Genetic algorithms are cool. 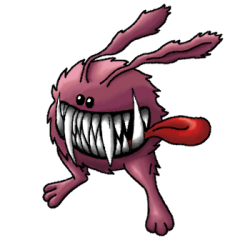 You breed and mutate models until you have a near optimal solution. They are also easy to understand and to code. So where is the catch? It is understanding what they are used for. What are genetic algorithms used for? Confusing huh? So it doesn’t classify cat photos? I need this thing. I can tell the difference between a thing and a better thing. Also, I need the best thing. But there are too many possible things to try out. So how to know if your use case suits a genetic algorithm? There must be to many possibilities to try and no mathematical algorithm to calculate the absolute optimum. Or the algorithm is to computationally expensive. Otherwise, you don’t need the genetic algorithm. 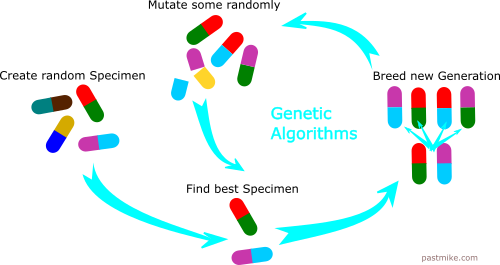 How does a genetic algorithm work? The algorithm itself is pretty simple. Check which of them perform the best. Discard a predefined portion of the worst examples. Mutate some of the examples by switching some of their building blocks with random ones. Repeat 2 – 4 until you run out of time or have reached the quality you need. As you see it’s not that complicated. Genetic algorithms can be incredibly useful. But especially the “Check for the best” part can be difficult. In the next post, we will check out a more complex example using python.